From the smallest barrel garden to the largest koi pond, no water garden can survive very long without water movement.�And for water movement, a pump is essential. The pump has been called the "heart of the pond" because it keeps the water circulating and the pond healthy. In addition, the most popular water features includes water movement. A cascading, bubbling stream adds interest and serenity to the garden, while a waterfall can create a dramatic centerpiece. Fountains provide the additional benefit of aerating the water, essential for providing a healthy environment for fish. Water movement is also needed for filters that help keep the water clear. To maintain a healthy pond, experts recommend circulating the water at least once every two hours. This means that, for a 1000 gallon pond, you will need to pump at least 500 gallons per hour. A 500 GPH, or larger, pump will be needed. The higher the pump must push the water, the less water will be pumped. The term head height is used to indicate the rise, measuring how high the water must be pumped for a particular application.�Every ten feet of tubing the water is pumped through adds resistance equal to one foot of rise, reducing pump flow. 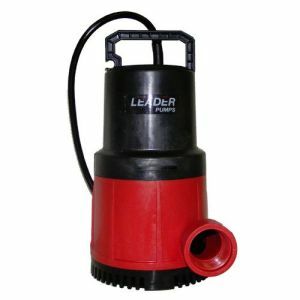 When selecting a pump, look for the GPH at each head height, as well as the maximum height that the unit will pump. At maximum height (called max. head) the pump only puts out a trickle of water. Use the information provided to find a pump suitable for your needs.